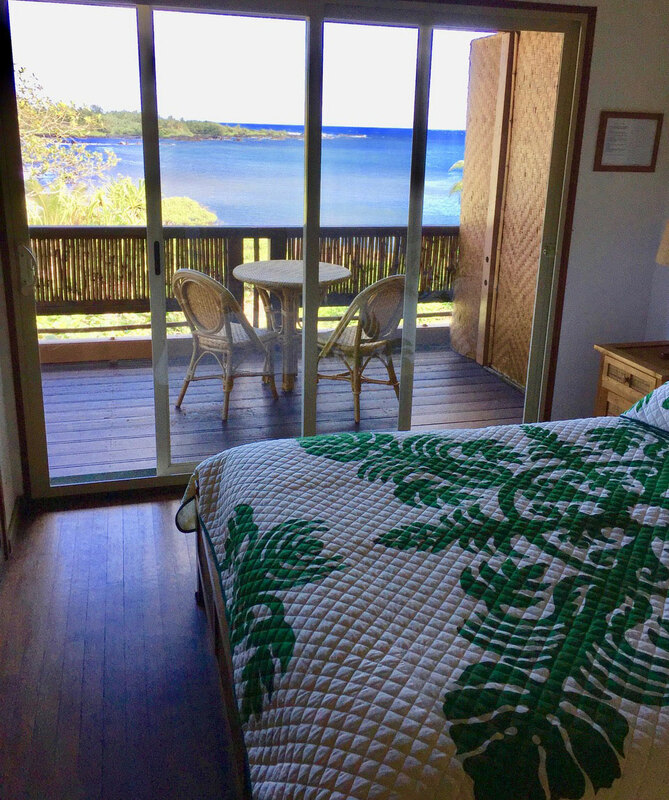 The second story ‘Iwa (Seabird) Suite has a sweeping 270 degree view of Hana Bay from Ka‘uiki Hill to Waikoloa Point. 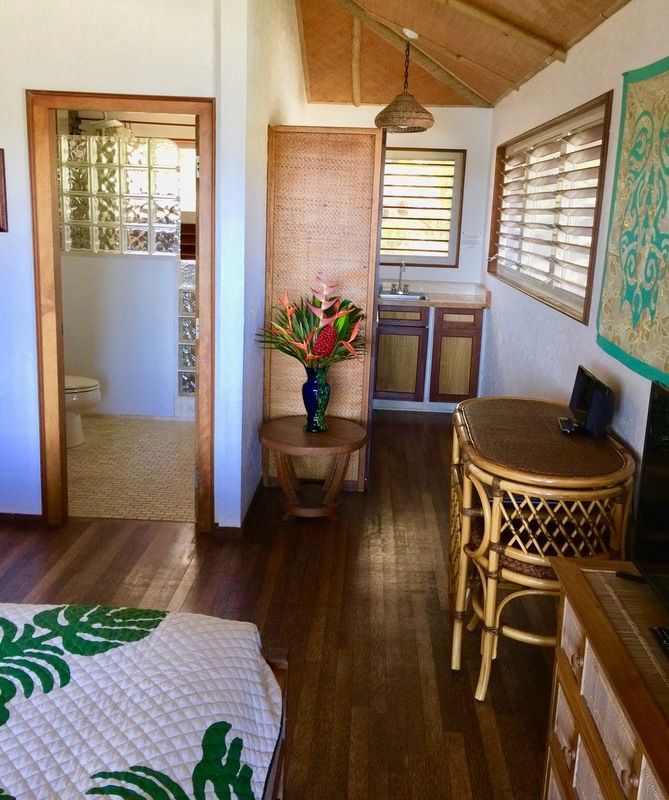 The suite includes a queen size bed, kitchenette and large walk-in shower with jetted shower bar. Mobile device users please select your desired dates, and then click on the box that pops up saying "1 available $230" to autofill the check-in/check-out dates and total rate.